Burt Lancaster, Teri Polo and Charles Dance star in Academy Award-winning director Tony Richardson's stunning, Golden Globe-nominated television miniseries. The classic tale of a hideously disfigured man who haunts Paris's subterranean labyrinths while harboring an all-consuming passion for a beautiful opera singer continues to enchant audiences. 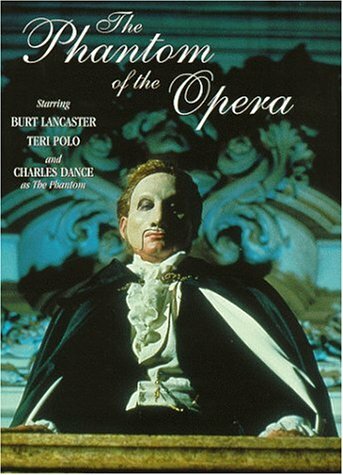 With its timeless story, "The Phantom of the Opera" endures as not only a deeply touching love story, but as a chilling spectacle of desire and vengeance played out against the grandeur and decadence of 19th century France.